Congratulations on doing your bit and rescuing a dog that otherwise may have had an uncertain future. This handout is about how you can prevent problems that may arise with having your new dog. Bringing home a dog is exciting and fun. However it is important to remember that this is a big change for all involved, especially the dog. 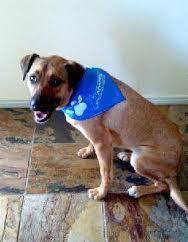 For dogs that have been rescued from shelters the whole experience is usually quite stressful. Most owners will report that the dog appears calm and quieter for the first few days to weeks, however after this honeymoon period is over it can be almost as if someone has played a practical joke and switched dogs on you. This new dog may be destructive, noisy, bouncy and boisterous, demanding and attention seeking. By following the guidelines below, this settling in period will often go much more smoothly and the above problems prevented. A consistent schedule may help your dog feel secure and to settle into his/her new home. Ignore any attention seeking behaviour; rewarding any attention seeking (even by looking, telling no, pushing away) is only rewarding a behaviour you don’t want and will result in this behaviour continuing and your dog getting better at performing it. When you want to do something for your dog, this means feed him/her, pat him/her, take him/her for a walk ask first for a sit. This is the dogs “say please” behaviour. Teach your dog to sit quietly and patiently in front of you for the things that he/she wants instead of being demanding and pushing, pawing, barking or jumping on you. Step 3: Closely monitor your new dog’s behaviour and restrict access for the first 4-6 weeks. When you are not home, confine your dog to a safe location where he/she can’t get into trouble. Reward good behaviour – these are the behaviours we want the dog to repeat. Step 4: Prevent boredom and frustration as these can lead to destructive and noisy behaviours. Feed all meals in food-dispensing toys. Ideally these toys will be easy for you to fill, but difficult for your dog to empty. Making your dog work for his/her food is mentally stimulating and enriching. Use chew toys and other tough toys (no toy is indestructible) that you can leave out all the time so that your dog can play and chew with them whenever he/she wants to. Keep out of reach (and out of sight - we don't want to cause frustration) some toys that your dog really likes – this might be something super special such as a tug toy or squeaky tennis ball. Use these toys when you want to play with your dog. Food-dispensing toys such as a kong, tug-a-jug and many others on the market are great. You can also make food-dispensing toys from empty bottles, cardboard boxes etc. Always supervise your dog when first introducing a toy to ensure it is safe. When you must leave your dog alone, leave him/her with several different types of toy, including food-dispensing toys, chew toys and toys with different textures. The more you provide an acceptable option for chewing, the less likely the dog will chew on valuable or danger items such as furniture or power cords. Physical exercise is good and necessary, but mental exercise is better. 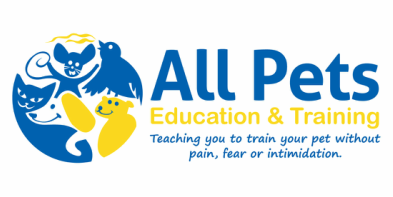 Enrol in a good positive reinforcement based training course, teach your dog tricks and useful behaviours. Training allows you and your new dog to bond, and also helps you show your dog what you expect. Remember though, if you aren't having fun in your training, neither will your dog. I would also strongly recommend the use of ADAPTIL (Dog Appeasing Pheromone) during the first 6-8 weeks of the newly adopted dogs arrival. 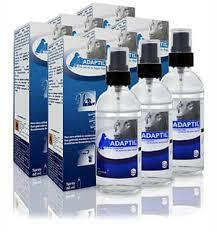 Adaptil is a synthetic pheromone that helps relax your dog. And you can also consider playing calming music. Classical music has been scientifically proven to reduce stress in dogs. 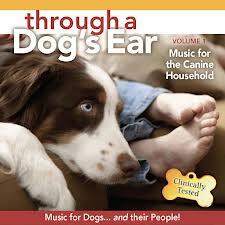 Through a Dog's Ear are commercially available CD's designed to relax your pooch.